Do you live in the countryside? 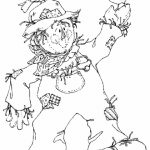 Have you ever made any scarecrow to keep the birds away from your farm? 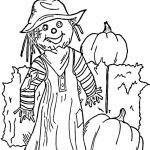 You don't have to make your scarecrow look like a real straw doll with eyes, nose, mouth and anything. 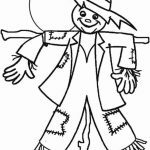 Scarecrow can be as simple as a big cross you make from scrap woods with used cans some small pebbles as a pendulum. That would be more than enough to scare the birds away. That is indeed what people make in most southeast Asian countries. Their scarecrows are not as elaborate as ones we know here but they work just as fine. 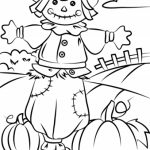 Anyway, if you've been looking for some blank scarecrow printables to color, I've got several of them here. You can print them as many as you want and don't need to pay a dime. Yes, these are all free for you but remember to keep them for personal use only. 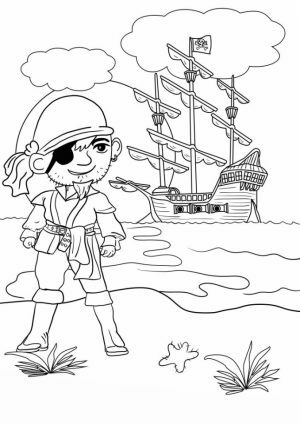 They are not meant to be commercially used, least of all, sold as coloring books. 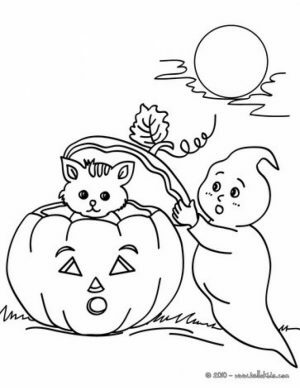 As far as the difficulty goes, some of these coloring pages are more appropriate for kindergarten and preschoolers as they feature a quite simple drawing. 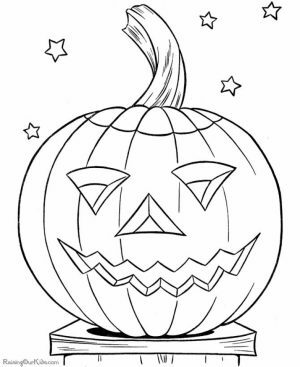 Some others have more details in them, making it a bit more challenging to color. Either way, I hope you can enjoy them. 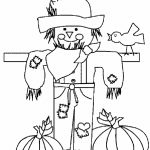 Scarecrows are a big hit in decorating during the fall, and are associated with harvest scenes. 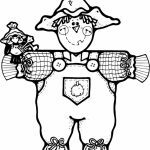 But, scarecrows are built to stand out in the garden to scare crows and other birds away. The crops are out growing in the field during the summer months. 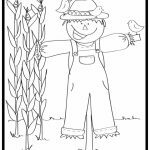 Scarecrows first started out as a means for farmers to protect their crops and gardens from the harm that birds such and the crow, could do. Birds could do a lot of damage by eating up the fruits, vegetables and grains that the farmers had planted therefore a means had to be invented to help the crops. 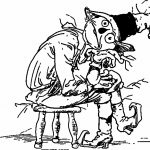 So the Scarecrow was invented! The Egyptians, Greeks, Romans and Japanese all used them in ancient times and their use carried on into the Middle Ages. 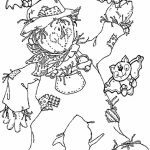 It was then that some people in Europe believed scarecrows could have special powers. 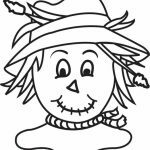 In Germany, scarecrows were made of wood and looked like witches. 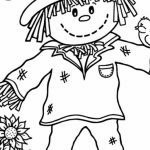 These witch scarecrows were supposed to helped the coming of spring. 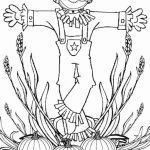 Here in America, Indian tribes used scarecrows or bird scarers to help protect their crops, from New York to the Southwest. In the late 1800s, Zuni children had contests for making unusual scarecrows like we are doing in Redlands today. 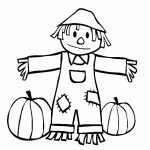 Scarecrows were very popular during the Great Depression of the 1930s. 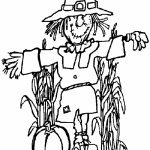 However, the farming technology that developed after World War II led to the decline of scarecrow usage by farmers in the United States. People from Japan even made scarecrows out of oily material and fish bones and attached it to tall wooden stakes to help protect their rice fields. 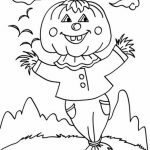 So as you can see, putting scarecrows on stakes has long been in practice for many years and in many different countries. 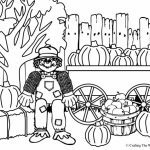 Related Posts "Scarecrow Coloring Pages"